Come visit us at the Pullman Farmer's Market! The Pullman Farmer’s Market will begin May 19, 2010 and run through Oct. 27. Each Wednesday from 4:00-6:00pm in the Old Post Office Parking Lot at 245 SE Paradise St vendors will offer a wide variety of food and farm products. 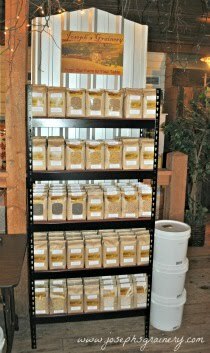 You can purchase our whole grains and lentils there and avoid shipping charges! We'll be there each Wednesday.